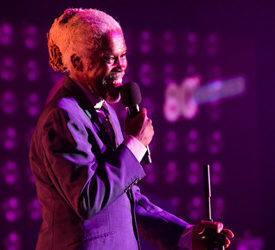 Billy Ocean is a British recording artist who had a string of R&B international pop hits in the 1970s and 1980s. He was the most popular British-based R&B singer-songwriter of the early to mid-1980s. After scoring his first four UK top 20 successes, seven years passed before he accumulated a series of transatlantic successes, including three U.S. number ones. In 1985, Ocean won the Grammy Award for Best Male R&B Vocal Performance for his hit, Caribbean Queen (Released in Europe as European Queen). 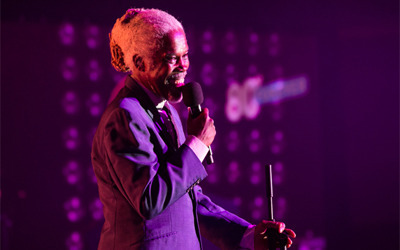 Billy Ocean is stil touring around the world. On the 6th of December 2007 he had a concert in Paradiso, The Netherlands. In August 2009 he visited The Netherlands and Paradiso again.